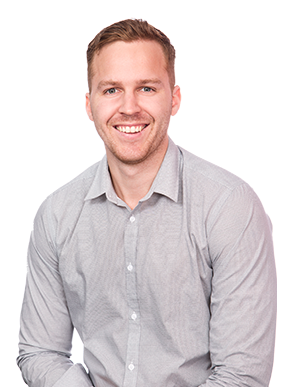 Callum’s can do attitude and industry knowledge has resulted in a continuously expanding network of loyal clients and vendor partners. Working in Finance since 2008, his biggest motivator is watching his clients grow their business from one piece of equipment to a large fleet, and knowing he played a small part in their success. Callum specialises in transport, earthmoving and agriculture, but is eager to take on any scenario. He once financed a custom built Harley Davidson Softail with an additional $20,000 worth of accessories, all shipped from the United States! An avid American Football fan, Callum stays active with his local gridiron team, Griffith Thunder. Working in Finance since 2008, his biggest motivator is watching his clients grow their business from one piece of equipment to a large fleet, and knowing he played a small part in their success. Callum specialises in transport, earthmoving and agriculture, but is eager to take on any scenario! What has Callum recently financed? What an absolute unit! This 2019 Freighter Dropdeck Semi Trailer from Maxitrans SA/NT was recently purchased by Tim Groves of Timtrans Pty Ltd. But not without the expert help of QPF Broker Callum Joynson of course! After financing this Semi Trailer, Tim was so pleased with Callum's professionalism that he told his Father all about it, Glen Groves is now the owner of a new 2019 Gessner Stick Rake and Gessner Tree Spear for his CAT D6H Dozer with Callum's assistance as well! Callum has always been great to deal with. Has always done his best to achieve the best deal for us for our last 4 machine purchases. Hoping for many more in the future.